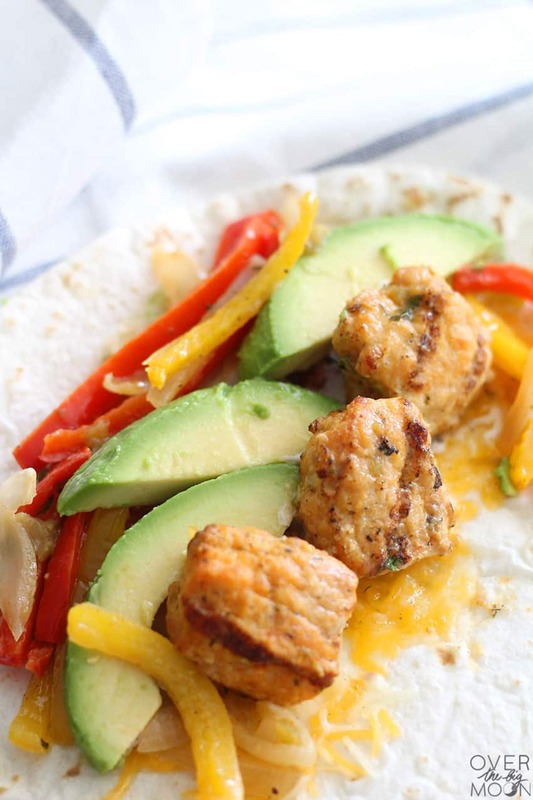 These Buffalo Ranch Chicken Fajitas are packed with flavor, but a breeze to make! As an added bonus, this whole dinner takes under 30 minutes to prepare! 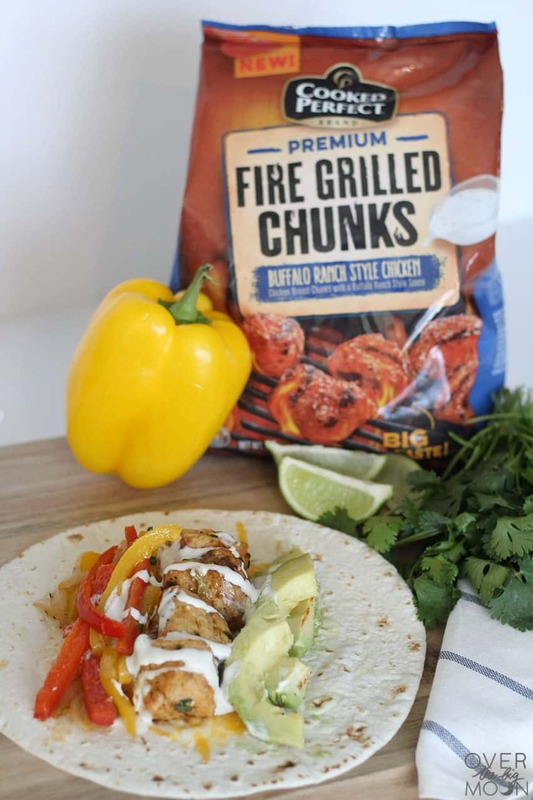 I am always looking for super easy, quick dinner ideas and these Buffalo Ranch Chicken Fajitas are now on rotation in our house! They have great flavor to them, but aren’t too spicy for my kids to enjoy! For my one son that doesn’t love peppers, I just turned them into tacos by putting the chicken in the tortilla with lettuce and avocado! You honestly can make this whole meal in under 30 minutes guys! Here’s what you do! 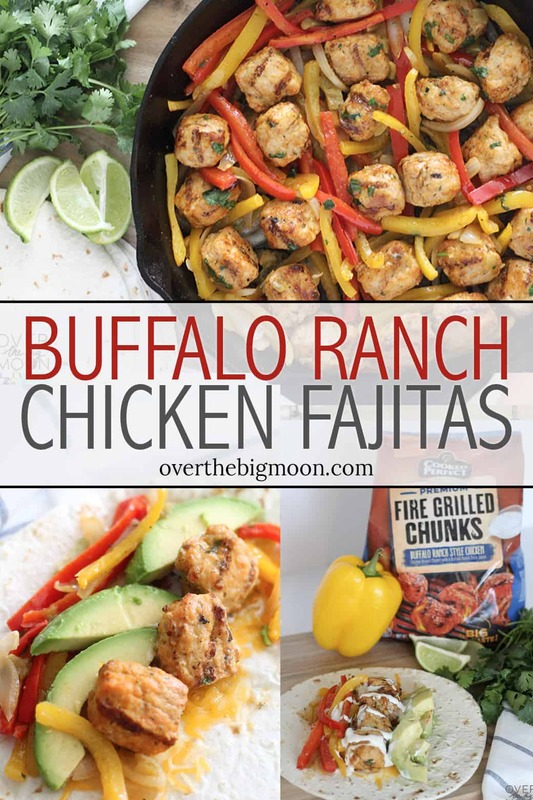 Firsts thing first, pull your Cooked Perfect Buffalo Ranch Chunks out of the freezer and quickly warm them up! According to the bag, you can bake or microwave them to heat them up. I liked the idea of not having to watch them while they heat up for the 15-17 minutes. Cooked Perfect Fire Grilled Chicken is a favorite of mine! 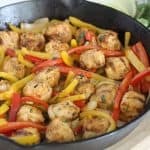 I also used it in in my Sheet Pan Lemon Chicken and Vegetables recipe I shared earlier this year! Their chicken isn’t only convenient for busy moms, but the way they grill it over an open fire helps lock in all the flavors and juices, which makes the chicken stay tender! To reheat the chicken, just pull it out of the freezer and you can then microwave or bake it for the recommended time shown on the side of the bag. They also have a large variety of different flavors: Buffalo Ranch, Bourbon BBQ, Lemon Herb, Classic, Wildflower Honey BBQ, Korean and Zesty Herbs and Spice. They also come as Chunks, Drumsticks, Tenders, Boneless Thighs and Wings! To find out where you can buy Cooked Perfect Fire Grilled Chicken in your area click —-> Find a Store! While the chicken heated in the oven, I took that time to chop up my peppers, onions and cilantro. I also opened my can of diced green chilis! Add a couple tablespoons of oil to your Cast Iron Skillet and turn the heat on high. 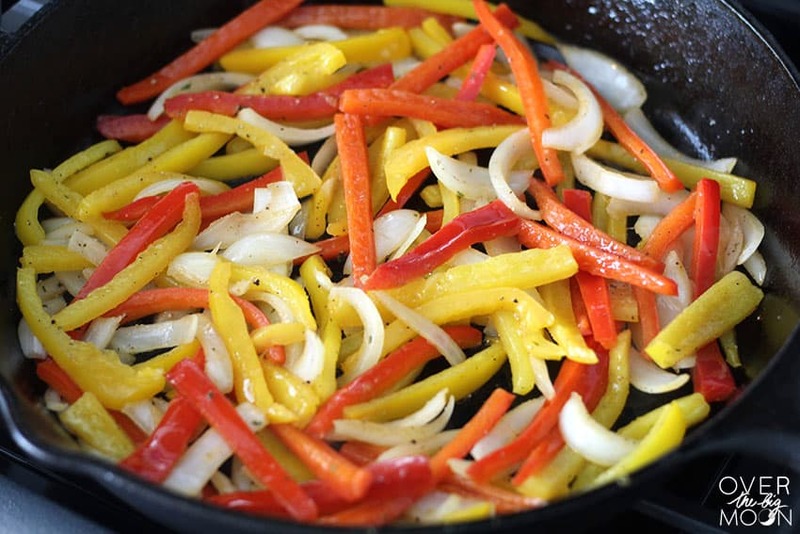 Once the pan is hot, reduce the heat to a medium-high heat and add the peppers and onions. I chose to only use red and yellow, but if you love green or orange peppers, you’re welcome to add them too! They only took about 3-4 minutes to cook, so I chose to wait and start them once my Cooked Perfect Fire Grilled Buffalo Ranch Chunks were done heating in the oven. After the peppers and onions were cooked I added salt, pepper and a heaping teaspoon of Ranch seasoning to them. I then added the chicken chunks, diced green chilis and cilantro and mixed them for about 1 minute to mix the flavors! Serve in tortillas with avocados, ranch dressing and limes! I also love to have some chips and pico nearby too! 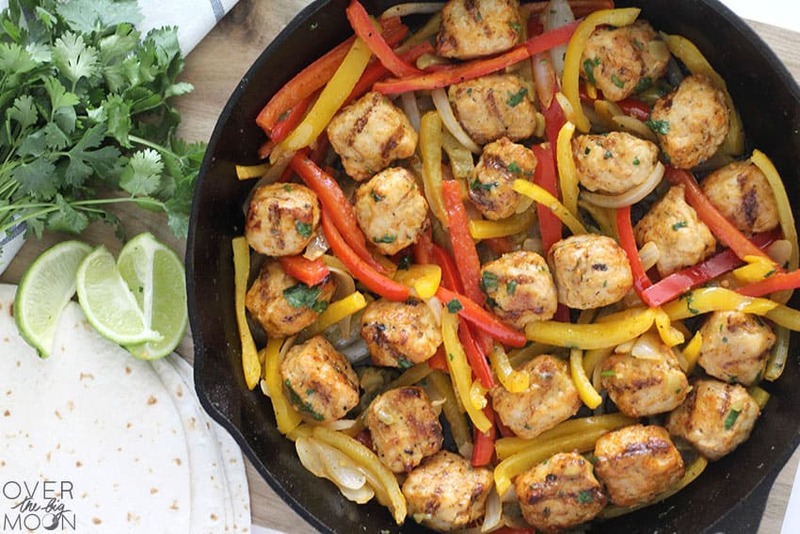 This meal is packed with flavor and takes less than 30 minutes to make! 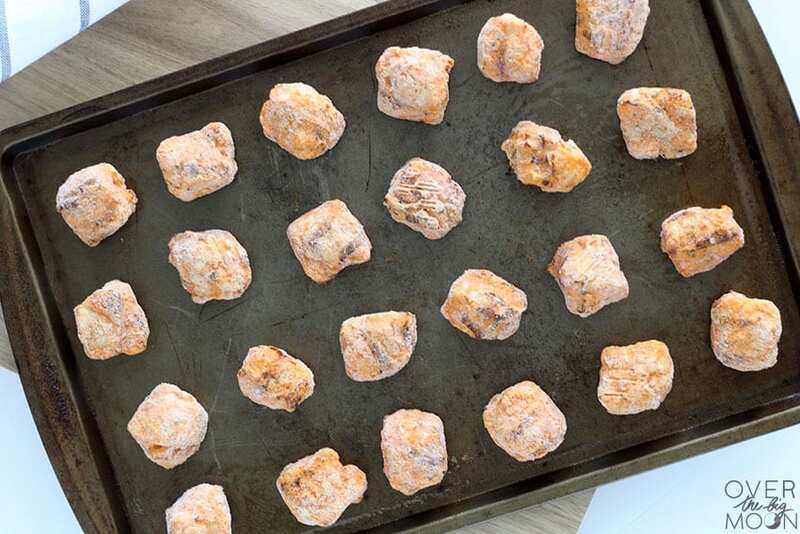 Bake your Cooked Perfect Fire Grilled Buffalo Ranch Chicken Chunks according to the package. 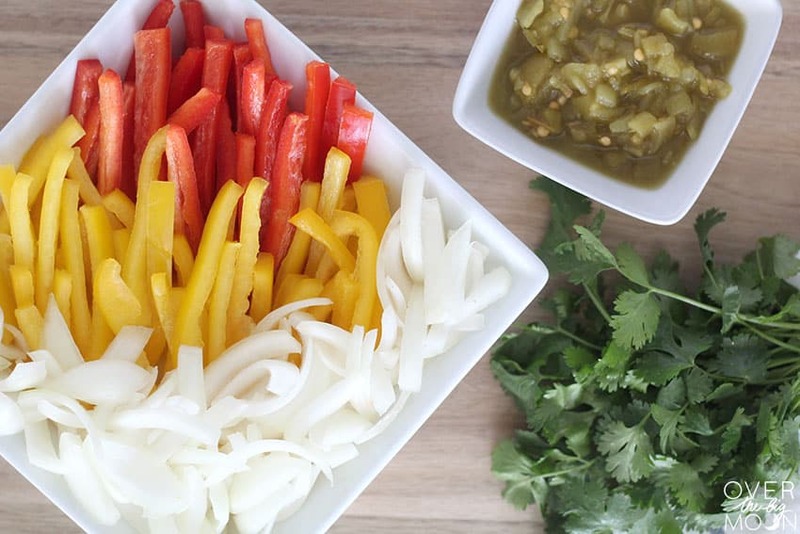 While the chicken is heating, cut up your onion, peppers and cilantro. Add 2 tablespoons of olive oil to a Cast Iron Skillet and get it heating on high heat. 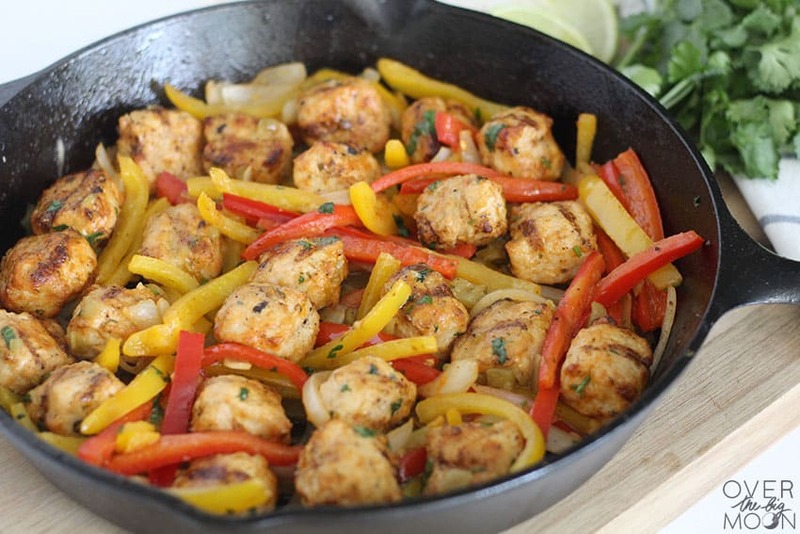 Once the pan is hot and your chicken is heated through, reduce the heat on the stove to medium-high heat and add your onions and peppers and cook for 3-4 minutes. When the vegetables are cooked, season with salt, pepper and ranch seasoning. Add the heated chicken, diced green chilis and cilantro and mix for about 1 minute on the stove. 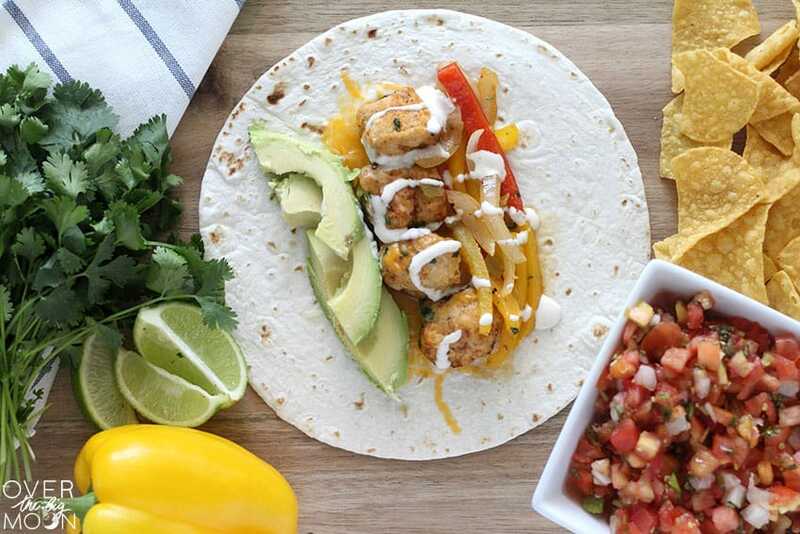 Serve with flour tortillas, avocados and ranch dressing. Enjoy! 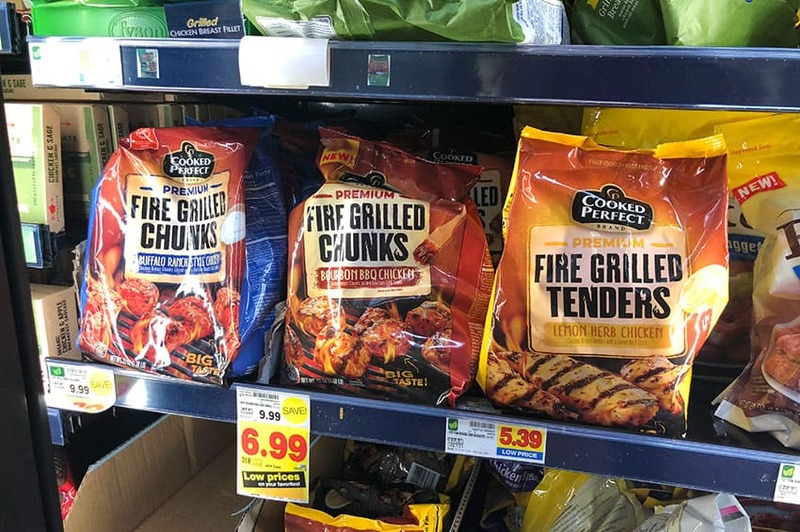 Don’t forget to try all the Cooked Perfect Fire Grilled Chicken flavors! They’re sure to help make your dinner time less stressful on those busy weeknights! Find them in a store near you and Browse Recipes & Save $1.50! If you love this recipe, I’d love it if you could pin the image below! 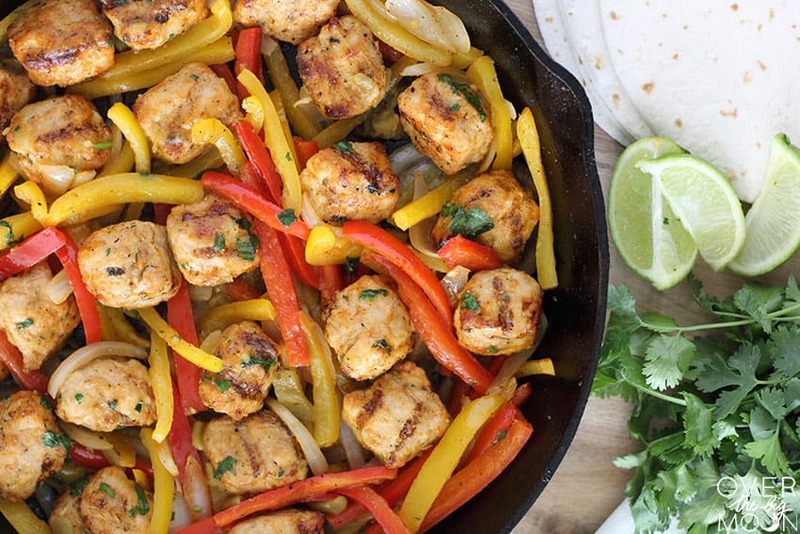 Such a delicious twist on fajitas! Love an easy dinner and I know my family will love these tacos!! Love how easy having this chicken makes it too! Yes!! Makes it such a quick meal! I love this chicken! I just picked some up! 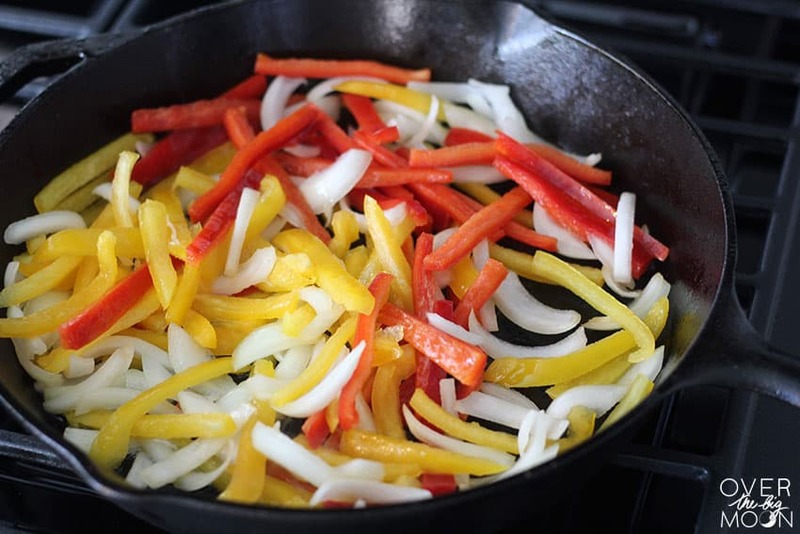 And… my life would be so much easier if I liked Onions and Peppers….. Sigh. I get it! I used to not peppers, but they have grown on me more and more over the last 5 years! Thank you so much for this recipe! I love it! I am a big fan of having some easy dinner recipes on hand for those nights when things just need to be fast! 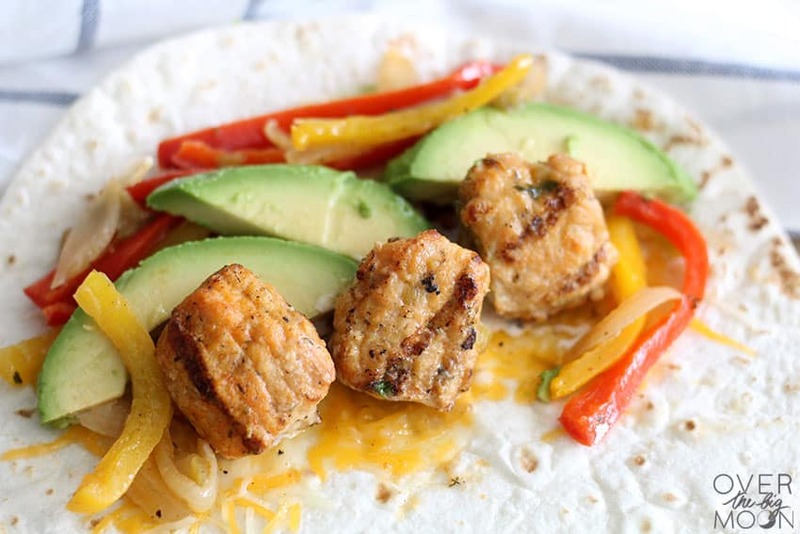 I always keep peppers sliced in my freezer, and now I’m going to find these chicken chunks too! That’s genius! I need to do that with the peppers and onions!